The Manitoba Legislative Building is the meeting place of the Legislative Assembly of Manitoba in central Winnipeg. It was originally named the Manitoba Parliament Building, not Legislative. The neoclassical building was completed in 1920 and stands seventy-seven meters tall (253 ft). It was designed and built by Frank Worthington Simon (1862–1933) and Henry Boddington III, along with other masons and many skilled craftsmen. The building is famous for the Golden Boy, a gold covered bronze statue based on the style of the Roman god Mercury, or the Greek god Hermes, at the top of the cupola, or domed ceiling.In 1911, the Manitoba government announced an architectural competition to all architects in the British Empire. A grand prize of $10,000 was offered for the best design for the new Manitoba Legislative Building. 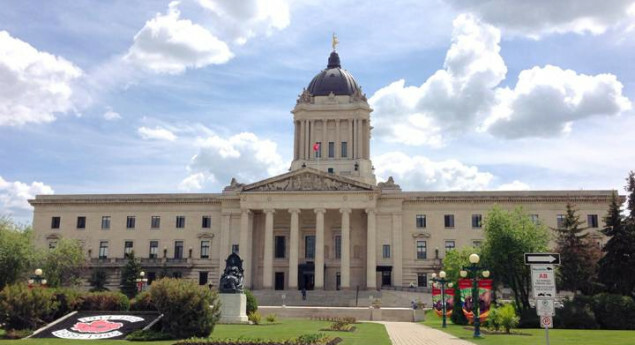 It is the third building used by Manitoba's legislative assembly.Of the 67 submissions, Frank Worthington Simon, a former student at the École des Beaux-Arts, had his design chosen for the construction of the impressive structure. I don't usually care for going to buildings associated with the government, but Manitoba Legislative Building is beautiful, and it's definitely a must see if you are visiting. During the Explore program of 2015 Saint Boniface, we visited the Legislative building and we all received Golden boy pins (I still have mine). After viewing the building from the inside we then participated in a scavenger hunt around the building. 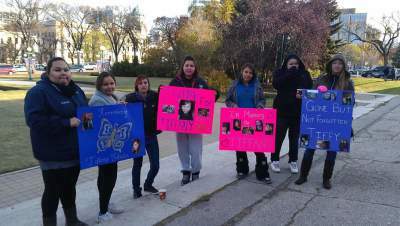 The photo with just a few of us was taking at Winnipeg legislation building. I would feel honoured and excited because it would be such a good accomplishment to tell people. 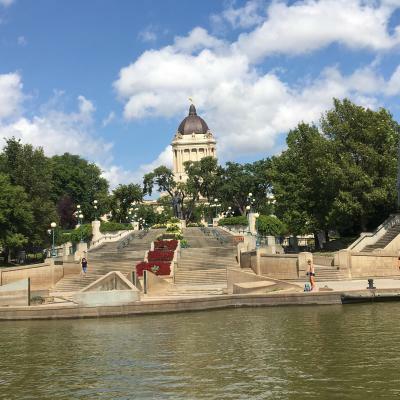 True or False: The current Legislative Building was ultimately designed after Frank Worthington Simon's design won the architectural competition in search of Manitoba's next Legislative building.